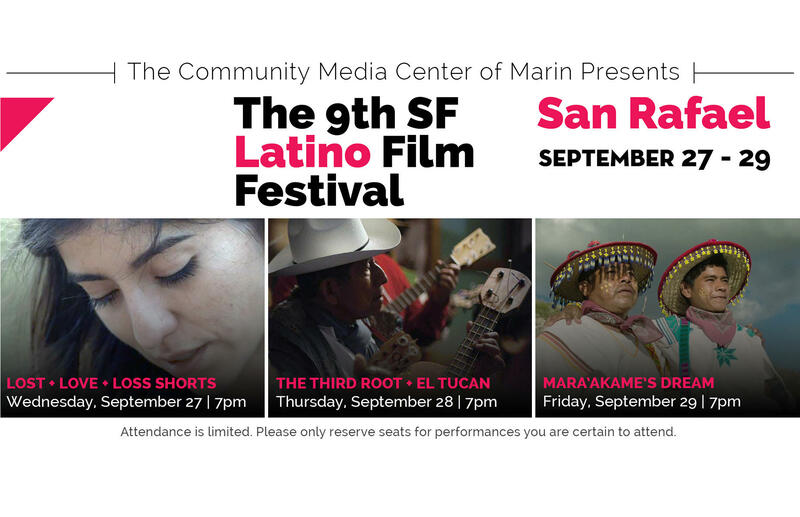 Selected films from the 9th San Francisco Latino Film Festival will be hosted by the Community Media Center of Marin in collaboration with ForWords, The Task Force on the Americas, and Canal Alliance. The films will be screened for free at the Albert J. Boro Community Center in the Canal area. A documentary that follows Mexican guitarist, Camilo Nu, on a journey through Southern Spain and North Africa to discover the roots of Son Jarocho music, the traditional music from Veracruz, Mexico. EL TUCAN (Short film) - Four aging musicians are forced to come to terms with the reality of modernization in rural Mexico, environmental destruction, their fading lifestyle tied closely to the land. After one of their fellow musicians passes away, the musicians who remain must confront their own personal legacies, reflecting upon life, death, memory, loss, and hope for the future. Nieri is a young Huichol whose dream is to travel with his musical band to play a concert in Mexico City. His father, a Mara’akame (Huichol shaman), has different plans for his son. Nieri must find the Blue Deer in his dreams in order to become a Mara’kame and follow his destiny. Which films are you interested in watching? Attendance is limited. Please only reserve seats for performances you are certain to attend. Email info@cmcm.tv for cancellations.